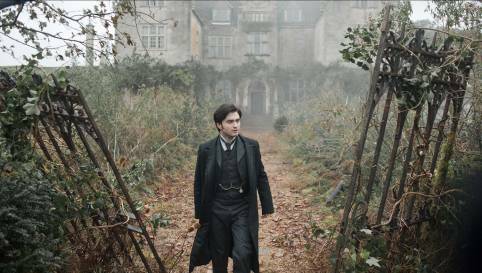 Daniel Radcliffe, the star of upcoming ghost story chiller, THE WOMAN IN BLACK, invites YouTube users to vote for their favourite ghost story from the ten shortlisted final entries of THE WOMAN IN BLACK ghost story competition. Launched on Halloween (31st October 2011) the competition challenged budding writers to submit their own original short story to the official YouTube channel for a chance to win a trip to attend the Worldwide Premiere of THE WOMAN IN BLACK on 24th January 2012. In addition, the winning entry will be read out by Daniel Radcliffe and included in the bonus features of THE WOMAN IN BLACK DVD. The competition was a resounding success with a 177 harrowing, haunting tales submitted that have now been whittled down to ten finalists. The stories shortlisted for the final ten were selected on the following judging criteria: creativity, originality and writing style. Votes for the best video commences from 21st December, with voting closing at 23:59 on January 5th, 2012. The winner will be announced on 6th of January, 2012. A full set of terms and conditions are available on the YouTube channel. To vote for the top 10 finalists visit here. THE WOMAN IN BLACK will be released across the UK and Ireland by Momentum Pictures, an Alliance Films company, on February 10, 2012.